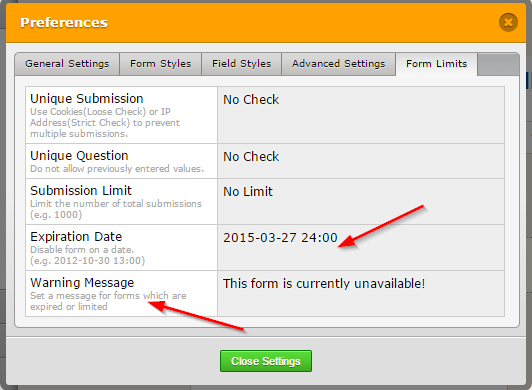 When I try to set my form to expire on March 27, 2015, I get a message saying that this date will disable the form. Yes. Setting the expiry date will disable this particular form and displays the message as you set in the Warning Message. Please refer to the following guide that can help you in understanding better about limiting submissions for a JotForm. Please let us know if you have any other questions. We will be happy to help.